Friendly, reliable movers serving Boulder, the Front Range and all of Colorado. Fully licensed and insured with an A+ rating from the BBB. 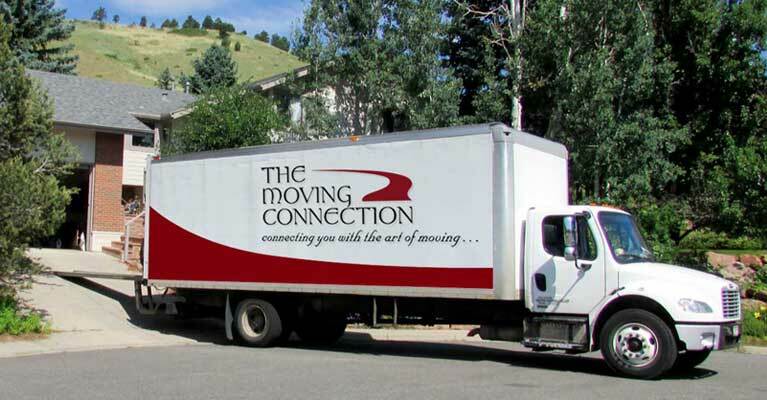 Welcome to The Moving Connection, a Boulder moving company specializing in residential and commercial moving. Fully licensed and insured, we serve Boulder, the Front Range and all of Colorado. The Moving Connection* is known for friendly professional service, competitive prices, and hundreds of loyal customers. 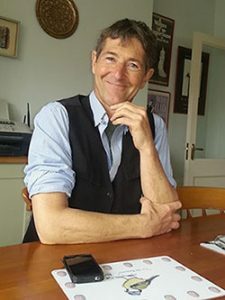 Our success is due to customer satisfaction: 80% of our business comes from our satisfied clients through repeat business or referrals. We can do your packing and unpacking, provide boxes and other supplies, load and unload your rental truck, or store your goods in our secure, climate-controlled facility. We offer these and other services at fair and affordable rates. Our A+ rating from the Better Business Bureau means you can count on us for the best business practices. To arrange a free onsite estimate call 303-665-6683. We’ll help you plan and complete your successful move from start to finish. We are fully licensed and carry cargo, liability and workers compensation insurance at no extra charge to our customers. We use professional, experienced movers. Some have been with us for 15 years or more. There are no surprise fees. We charge by the hour, and bill in quarter-hour increments (after our 2 hour minimum). Locally owned and operated, since 1989. Serving Boulder, the Front Range and all of Colorado for over 25 years. These guys got the job done quickly for not very much money! We hired them to do a full-service move from our 2 bedroom house in Boulder to another house in town. The estimate came in at around $2k, lower than every other company we checked. And in the end, because they were so fast and they bill hourly, we only paid $1400. All of our stuff arrived intact, including several computer monitors, glass-top coffee tables, and a large TV. Thank you to Paul, Miguel, Juan, and Manny! On top of everything, these guys were incredibly courteous and friendly. Had a great experience. Set up the move with 4 days notice. They called before arriving and were on time. The 4 workers were hard working and got the job done with no problems whatsoever. Would highly recommend!! I've used the Moving Connection 4 times and find their service excellent! I particularly like Paul and his "A" crew. They just moved me and did a terrific job of following my requests and treating my things so well. Can't recommend them more highly! We have moved five times in the last 12 years and The Moving Connection was by FAR the best moving company we've ever used. Paul, Miguel, Mckenzie and Rusty were professional, pleasant and moved very quickly! We weren't sure everything would fit into the truck for our Boulder to Denver move, but they organized it so that it worked and everything arrived in perfect condition. They were extremely helpful in being sure everything was where we needed it to be before they left and they even finished earlier than estimated. We could not recommend them more highly! This was our second move with the Moving Connection and they did a great job both times. Their estimates were clear and accurate and the actual costs were below the estimates. Steve, Nate, Doug, and Aidrian were very careful, cooperative, pleasant, and quick in moving our household. We had a heavy, king Verlo mattress which had to be moved up a 20 step stairway with a turn half-way. They also arranged furniture in each room which helped us get settled more quickly. Way to go guys! We will definitely recommend them to our friends. I have used The Moving Connection over the years for many moves. They have packaged complete homes for me, moved them and unpacked everything as well. This included some very expensive art as well as a hand blown glass bird collection. Not a single incident! They are top shelf in my book and I will be calling them in the future for my next moving needs! Fantastic people. My girlfriend has used this company a few times and they were nothing but helpful every time. These guys were top notch. Had our whole house moved in an amazingly short time, with no casualties. And they were great to be around, and did whatever I needed done with a smile. I'd hire them again in a heartbeat.